Are you concerned about big industry ruining cannabis? The Evolution of Organic is a documentary that traces the history of the organic food movement to the original back-to-the-landers in northern California. These folks came to regions like Mendocino and Humboldt because of a belief about what a “healthy lifestyle” looked like. To these people, producing food naturally and without chemicals was a reflection of their respect for the land. These communities produced a variety of plants, including cannabis, and treated it as a plant-based medicine and community healing tool. Although cannabis was present, it was but a part of the ecosystem adopted by these early farmers. And these ecosystems were reflective of the values of the communities. The fight against Big Agriculture is directly related to upholding these values, as is concern about carbon production, GMO’s and wildlife preservation. Now that cannabis is on the road to industrialized agriculture, the nexus between cannabis activism and environmental activism has never been greater. The mindless use of land and resources that comes with most large-scale agricultural operations existed with cannabis before legalization. Before legalization, cartels and other large illicit market players would often clear-cut forests in remote areas of northern California to set up heavily guarded grows. These groups used poisons and traps to maintain their grow area. They often left trash and hazardous waste on site. And while federal dollars were provided to find and eradicate the grows themselves, no money was allocated to clean up and restore the land. Also before legalization, the back-to-the-landers were creating permaculture paradises, regenerative farming using crop rotation and beneficial insects to produce medicine and food without chemicals and to improve the quality of their land as they cultivated it. However, under prohibition, these organic farmers were lumped in with the large trespass grows. In the eyes of the law, there was no difference. Now we are in a new era. But face the same players. The cartel activity is winding down, and big industry is ramping up. And, as the folks who fled the cities in the 1960s can tell you, large agriculture is no friend of the environment. Well-financed companies can afford penalties for polluting the environment while stricter environmental regulations often negatively impact the little guy most. And big business can afford powerful lobbying efforts despite contributing to social and environmental harm. This is a real threat in the emerging cannabis industry and an area where activism is needed on a large and far-reaching scale. Policy choices being made right now will impact our ability to do what’s right by the earth in the future. A glaring example of this is the embracing of indoor cannabis cultivation. Granted, during prohibition plants were moved indoors to prevent detection. And granted, the inability to transport cannabis across state lines limits the ability for outdoor cultivation in some climates. But consider this, in California, a state that produces most of the country’s food outdoors, cannabis is only allowed to be cultivated outside in 17 jurisdictions. The rest must be grown in greenhouses, sometimes using high-intensity discharge lighting, or worse yet, completely indoors and reliant on such lighting. A half acre of indoor production places the same annual strain on the grid as 298 homes. The role of activists post-legalization isn’t just driving cannabis policy. It’s making the connections between real-time industry decisions and unintended consequences. It’s speaking up on behalf of the earth and joining together with other groups who are dedicated to protecting her. And it’s taking advantage of a very real and very rare opportunity to pivot on how we grow food, something that will impact generations to come. But it’s not the only place where opportunity is presenting itself. In my next installment, I will talk about gender and racial equity in the workplace and how activists can use cannabis as a catalyst. 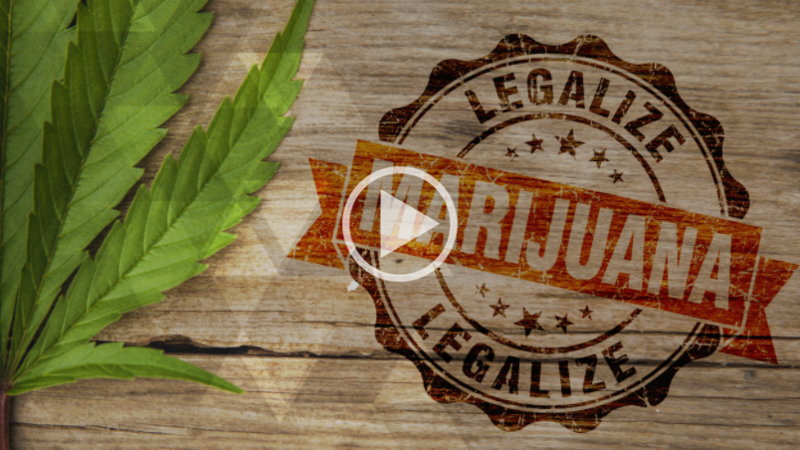 In this Green Flower video, Betty Aldworth, executive director from Students for Sensible Drug Policy (SSDP), gives you in-depth guidance on how to successfully influence the cannabis laws where you live. Amanda Reiman is the Vice President of Community Relations for Flow Kana, a branded cannabis distribution company that works with sun grown farmers in the Emerald Triangle. She is also the Chair of the Board for the Traditional Farmers Advocacy Alliance and on the Board of Directors for the International Cannabis Farmer's Association, both of which engage in education, research and advocacy around support for traditional sun-grown cannabis farming. Dr. Reiman is also a Board member for the California Cannabis Tourism Association, the Mendocino Cannabis Industry Association, The Mendocino County Fire Safe Council, and The Initiative, the first incubator/accelerator for women-owned cannabis businesses. After receiving her PhD from UC Berkeley, Dr. Reiman was the Director of Research and Patient Services at Berkeley Patients Group, one of the oldest dispensaries in the country, and the Manager of Marijuana Law and Policy for the Drug Policy Alliance, a national non-profit that was engaged in the drafting and campaigns of legalization initiatives across the country and abroad. She also taught courses on substance abuse treatment and drug policy at UC Berkeley for 10 years and has published several research articles and book chapters on the use of cannabis as a substitute for opiates and the social history of the cannabis movement. Amanda currently resides in Ukiah, CA.